When we decided to look into projects based around ‘tunnels’ we thought we’d be scraping around looking for content. How wrong we were! Read on for some amazing pieces of work from architects and designs around the world that give tunnels a whole new aesthetic. MAD Architects. The studio’s work saw the historic tunnel restored and revitalised with several permanent artistic spaces that were given over to different artists to create permanent installations. The tunnel is a 50m passageway that cuts through the rock to give panoramic views over one of Japan’s three great chasms. Drawing on the five elements of nature – wood, earth, metal, fire and water, MAD’s scheme rethinks the relationship between humans and nature and re-connects people with the majestic beauty of the land. 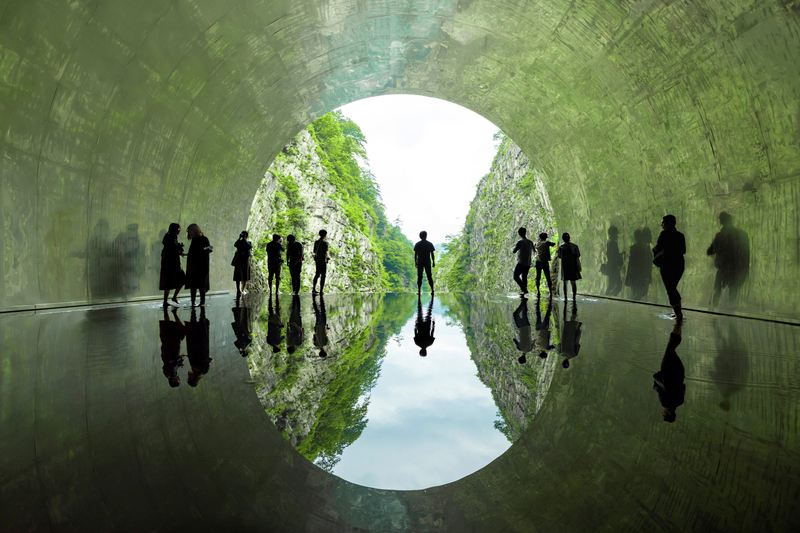 One of the Kiyotsu projects was, ‘Light Cave’ by Nacasa Partners, that features semi-polished stainless-steel lining the tunnel, drawing the distinct rock formations, lush greenery, and turquoise water of the terrain into the enclosed space. A shallow pool of water gently ripples with the breeze of the wind and in turn, the images of the gorge are reflected from the cave onto the water – an infinite illusion of nature. 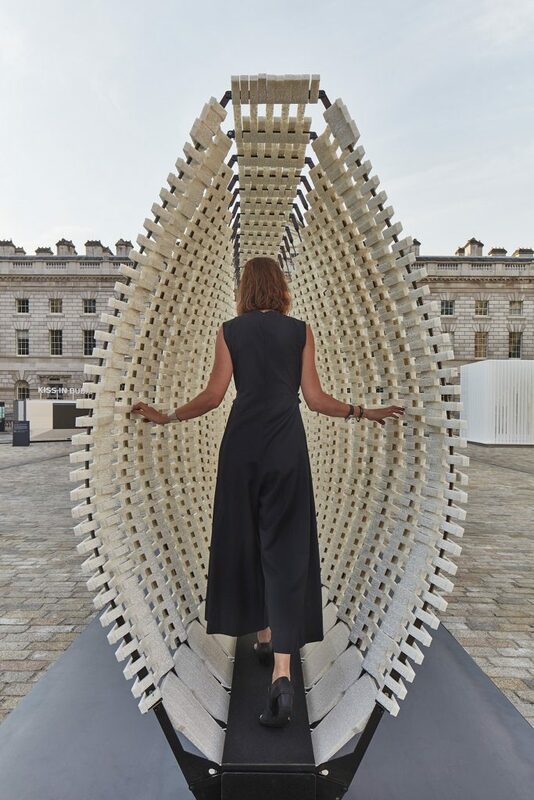 In the UK, the London Design Biennale at Somerset House has played host to some of the world’s most exciting and ambitious designers, innovators and curators. This year’s theme – Emotional States, attracted participants from six continents. ΑΝΥΠΑΚΟΗ (pron. Anipakoi and meaning ‘Disobedience’) was an experiential ‘tunnel’ designed, engineered and curated by: Nassia Inglessis’s Studio INI. Nassia Inglessis is a design engineer based in London and Athens. She founded Studio INI as an experimental design studio with a ‘human centric approach to explore matter in the context of cognition’. 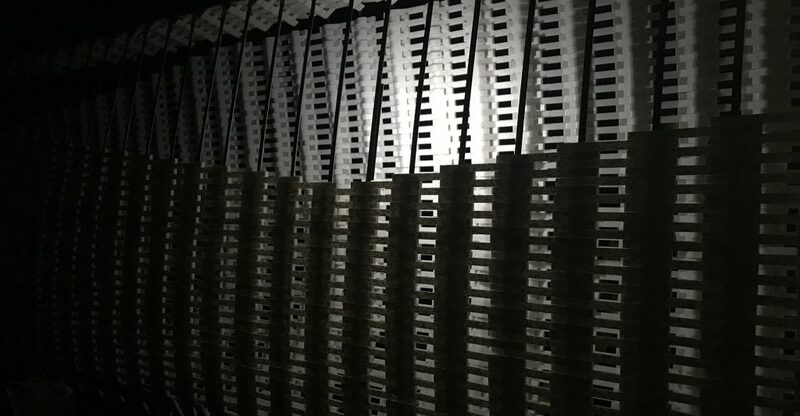 ΑΝΥΠΑΚΟΗ is comprised of a 17m-long ‘wall’ constructed from a steel spring ‘skeleton’ built up with recycled plastic, which flexes, morphs and breathes around the human body. Visitors can pass through it and as they tread, experience the skin of the wall transforming in response. The concept of ΑΝΥΠΑΚΟΗ has been used throughout history to describe the Greek temperament, with explorations of disobedience dating back to Ancient Greece. From the cautionary tales of Ikaros and Antigone, to Prometheus, a hero who feels a moral obligation to disobey the gods in order to create opportunities for human progress. Inglessis design explores this duality: How can we design to evoke disobedience, yet harness its constructive and creative form? In the spirit of disobedience, the kinetic installation changes our interactions with the physical environment, challenging a perception of architecture as something static, or emotionally inert. 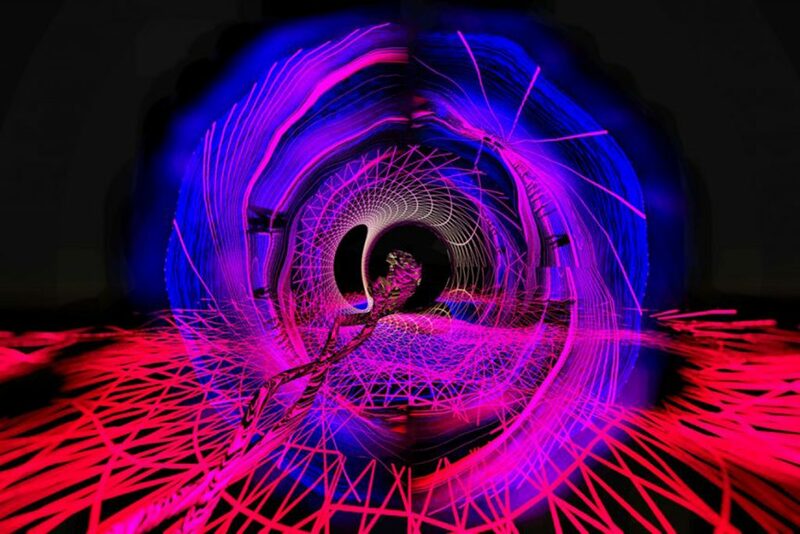 ’Portal’ part of the Sonica touring programme of world-class visual and sonic arts, is described as a ‘sensory subterranean spectacle in The Clyde Tunnel in Glasgow, Scotland. Artist Robbie Thomson has filled the tunnel’s pedestrian passage with lights, sounds and robots to create an immersive piece of visual artwork. Working with composer Alex Menzies, he has transformed the 762m-long walkway of the tunnel into an otherworldly odyssey of robotic sculptures and electronic sounds to lead you through a series of close encounters, which are at once immersive and intriguing.